Getting older, as with most things in life, is a double-edged sword. For all the wisdom accrued and knowledge secreted away there are aches without number and ailments without number; every longstanding friendship is matched with the disappointment and loss of a relationship lost to enmity or mortality, every achievement dogged by the ghost of paths not taken, of simmering regret about what might have been. It may all sound horribly depressing but it’s simply the reality of living, a multi-faceted truism that Joanna Nell captures in his debut novel, The Single Ladies of Jacaranda Retirement Village, which is equal parts frustration and sadness at the many drawbacks of growing older but also the hope that this is by no means the end of the road, that even at an age when society, and you, maybe consigning your life to the dustbin of history, that exciting, fulfilling things can still happen. Although convincing Peggy Smart, the 79-year-old doggedly-downcast though fantasy-rich protagonist of the novel, of the truth of that may take some doing. A widow of four years who still misses her long and faithful husband Ted, and the spot he used to occupy in their bed, Peggy has long since settled into what even she admits is a beige existence. Her clothes are taupe, ill-fitting and functional, her day a fairly-unpromising mix of unexciting meals and small “a” activities, with her only real delight the company of her dog Basil who is drawing towards the end of his own happy life. “Discombobulated. It was Peggy’s favourite word, and twenty-five Scrabble points. She was still waiting for the perfect moment to drop it into conversation with Brian and impress him with her vocabulary. ‘Hmm?’ Peggy couldn’t remember how she came to be standing in the middle of the foyer. She looked around, searching for clues in the silk flower arrangements and framed watercolours. She is surrounded by potential friends in the form of the eligible and dashing Brian, a rarity in the female-dominated retirement community, tomboy Celia, ex-entertainer Jim and others, but friendships never seem to develop nor fresh and invigorating opportunities materialise, and Peggy is left to wander through her days, weighed down by the sense that she could’ve and should’ve done more with her days. It takes the appearance of her old school friend of over 70 years, the glamorous, thrice-married Angie Valentine to shake her out of her funk. Angie, who spent her life living abroad and working in fashion, appears to have retained that aura of exotic possibility that Peggy, oppressed by a confidence-sapping domineering mother, never really feels she ever possessed. Sweeping in with all the vivacity and verve of the havoc-creating fabulousness of the lyrical protagonist in ABBA’s song “Head Over Heels” – “She’s a leading lady / And with no trace of hesitation she keeps going” – Angie sets out re-inventing her dear old friend, throwing her old, dowdy clothes out in favour of designer threads, drawing her into the village’s newly-formed library and social committees and creating a tight circle of friends of the likes of Brian, Celia, Jimmy and others that revolutionises Peggy’s humdrum life. Thankfully Nell doesn’t make it quite as over-the-top movie-of-the-week as that sounds. The reality is that no one really changes or finds their life renewed, particularly not at that late stage, without all kinds of doubts and second-guessing creeping in. Peggy, god bless her capacity for living and glorying in and despairingly inhabiting the same moment, is very much a real and grounded person who wants to deep dive into the Angie-fashioned bold, new world but isn’t sure she has the right or capability to really live in it. That things do ultimately change for the better is no kind of spoiler alert sinceThe Single Ladies of Jacaranda Retirement Village is not exactly a revolutionary novel replete with all kinds of unexpected twists-and-turns. But it’s the way that Nell, who writes her characters, especially Peggy, with a kind of ground lyricism that makes them feel both very real and also people you’d be happy to spend time with, that gives the novel a sage edge it might otherwise have lacked. 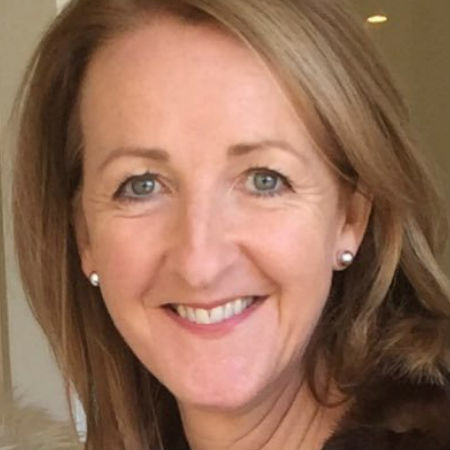 Peggy, like many of us, feels like an impostor and the arrival of Angie, who appears to have the life that her friend could only dream about, only reinforces the sense of never quite making the most of life. But as Peggy’s life does change in small but important ways, usually faster than her changing sense of self which takes one step forward and three steps back on a regular basis, both she and her children, David and Jenny, who are rather lamentably a little one-dimensional and trope-heavy, come to realise that not only is life not over for bright, smart and kind Peggy Smart but that there may be life in the old girl yet. It’s a slow-burning revelation for Peggy that serves, in little ways here and there, to remind us that giving up on life before it’s actually over does no one any good, but also that we have usually accomplished more and affected more peoples’ lives than we realise. Nell delivers these pertinent homilies in ways that aren’t heavy-handed or hawkish, managing to avoid the big, obvious narrative melodrama that might seem like a natural fit for a story about people of a certain age but which, if employed, simply makes them look like ageing residents of a sudsy, b-grade movie-of-the-week tale. 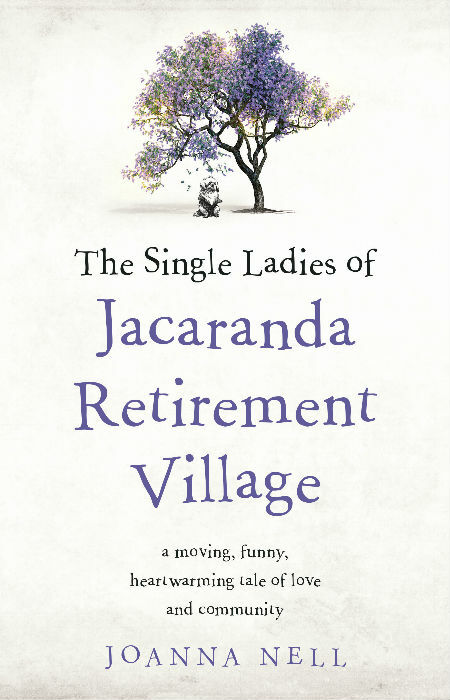 The Single Ladies of Jacaranda Retirement Village is thankfully not that story, and while it is a little twee and repetitive at times – you sometimes wish Peggy would just embrace her new life and revived good fortune and just run with it; but then who among us really does that with any real consistency? – it is, as the cover promises “moving, funny … and heartwarming”, a cosy comfort read that delivers up some surprisingly-robust life lessons, chief among them that you only stop living life when you choose to, and that each of us has the capacity to mix things up, no matter our age, if only we are open to the possibility.